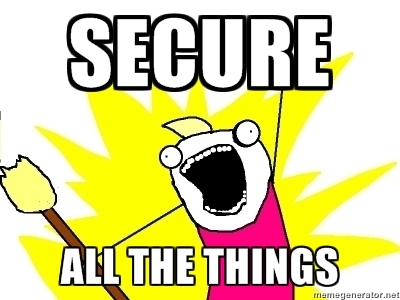 One of Hospitium's goals is to be as secure as possible. Well we have made a big step forward as we have just pushed an update to force ssl connections across the entire site. > "In its popular deployment on the internet, HTTPS provides authentication of the web site and associated web server that one is communicating with, which protects against Man-in-the-middle attacks. Additionally, it provides bidirectional encryption of communications between a client and server, which protects against eavesdropping and tampering with and/or forging the contents of the communication. In practice, this provides a reasonable guarantee that one is communicating with precisely the web site that one intended to communicate with (as opposed to an impostor), as well as ensuring that the contents of communications between the user and site cannot be read or forged by any third party." As always, if you have any problems with the new changes let us know. Or if you have ideas on how we can increase security we would love to hear those as well.